Jack Casady (left) and Jorma Kaukonen of Hot Tuna have been friends and bandmates for nearly five decades. When he picks up the phone to chat with the Inlander, Jack Casady is in the Japantown section of San Francisco, a city he moved away from more than 30 years ago. It still feels plenty familiar, however. Casady has a couple of brothers who live in the area. His band, Hot Tuna, has played in town many times over the years. Lots of folks come out to those shows, both family members and friends from the old days. The show on this particular night is happening just across the street at an iconic music venue, the Fillmore, the hub of San Francisco's once-in-a-lifetime music scene in the mid- to late 1960s. Casady's comfortable there, too: His old band Jefferson Airplane played the first show produced at the venue by legendary promoter Bill Graham, way back in December of 1965. "Those early days — say, '65 to '70 — San Francisco really was a small, communal, unique environment to be in at that stage of your career," Casady says. "It really had an open quality about it that now, in retrospect, I realize how fortunate we were to have been a part of that." When Casady says "we," he's talking about Jefferson Airplane, one of the city's foundational psychedelic acts and 1996 Rock and Roll Hall of Fame inductees. But he's also talking about his oldest friend, Jorma Kaukonen, fellow Airplane member and, for nearly 50 years, his bandmate in Hot Tuna. By 1965, Kaukonen had migrated to the Bay Area and joined what would become Jefferson Airplane. When the group needed a new bass player, he called Casady and told him to head west. "I look at Jorma as a friend first and then as a business partner second, and we have reference points that go back a long way and aren't connected with being in a band together," Casady says. "My mother fixed him roast beef sandwiches, and I visited his grandparents' house." Within a few years, Casady and Kaukonen were rock stars, and during a break in Jefferson Airplane's schedule in 1969, they started a side project to explore folk, blues and American roots music. They called it Hot Tuna, and they've been at it ever since. Over the years, Hot Tuna has turned out seven studio albums, a truckload of live recordings and a long, impressive list of former members. The band's core, however, has always been Kaukonen's fingerpicking blues guitar, Casady's sturdy contrapuntal bass lines and the interaction between the two. Their musical relationship is perhaps best captured on Kaukonen's dense and beautiful "Water Song," from Hot Tuna's 1972 album Burgers. "You play and you search for a vehicle and music that gives you satisfaction. When Jorma and I would play together ... we enjoyed the music that we created," Casady says. "We always tried to choose [songs with] a timeless quality — that you could manipulate and move around, and it would be a living thing rather than a single entity associated with a particular place and time," he continues. "I think in that sense, we both enjoyed the folk aspect of it, telling the tales of the human dilemma." Hot Tuna's most recent studio album, Steady as She Goes, came out in 2011. It's a full-bodied, electrified effort that befits a group of supernaturally skilled players with decades of music-making experience under their belts. 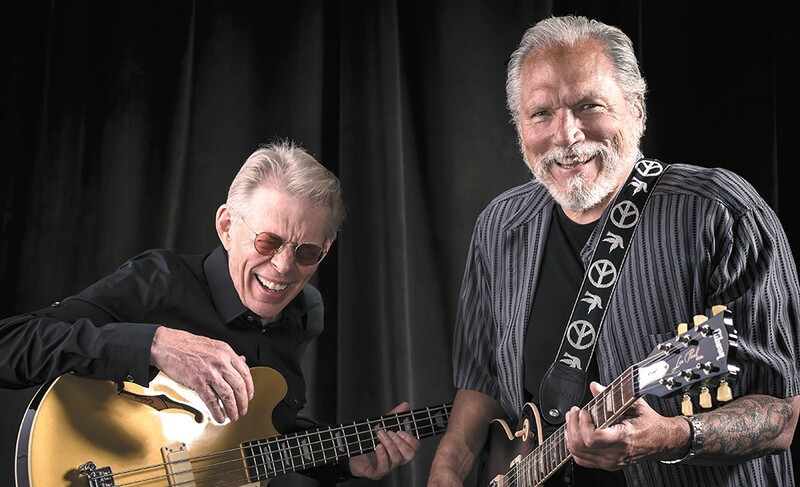 These days, with Hot Tuna busier than ever on the road, Casady and Kaukonen are frequently asked if they're working on new music. "We're starting to think about putting some things together. Starting to stir the pot," Casady says. "The answer is yes. As for when, we don't exactly know the answer to that. But it won't be too long." That's just as well. If there's one thing Casady and Kaukonen have proven, it's that they have time on their side. Next year, they'll celebrate six decades of playing together, a milestone few other rock 'n' roll duos can match. The music's just part of it, of course. "When you share more than just the music, it helps you give leeway to each other's personality and respect for each other that's essential to a relationship," says Casady.